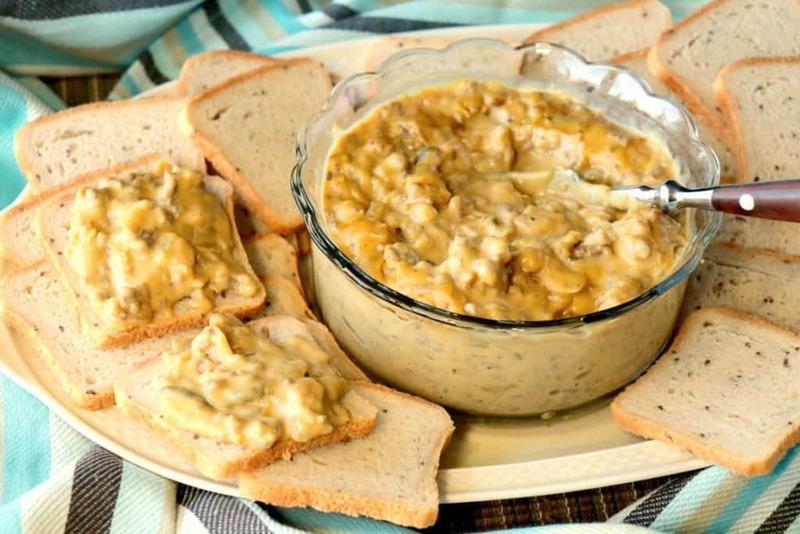 Everything you love about a patty melt is in this easy to make Patty Melt Dip. It’s sure to be a real crowd pleaser at your next party or celebration! My husband and I love patty melts, and we order them often when we go out to eat. This recipe idea came to me when I was thinking of appetizer ideas I wanted to serve at our upcoming small but annual big game day party. It’s an easy and delicious twist on a patty melt burger, and once you try it, you’ll be amazed how much the flavor of this Patty Melt Dip resembles the iconic patty melt burger, caramelized onions and all! 1½ large yellow onions, 1 pound ground beef, olive oil, salt, pepper, beef stock or broth, garlic, dill pickle relish, yellow mustard, Velveeta or 1 pound American cheese, and cocktail rye bread or dippers of your choice. I did use Velveeta in this Patty Melt Dip because I knew it would melt better than any other cheese I could think of. If you’re not a fan of Velveeta then, by all means, you can substitute one pound of American cheese for the Velveeta. I think the result will be similar in texture and flavor, but I can’t be 100% positive because I’ve not tried it myself. If you do, please write me and let me know how it turned out! 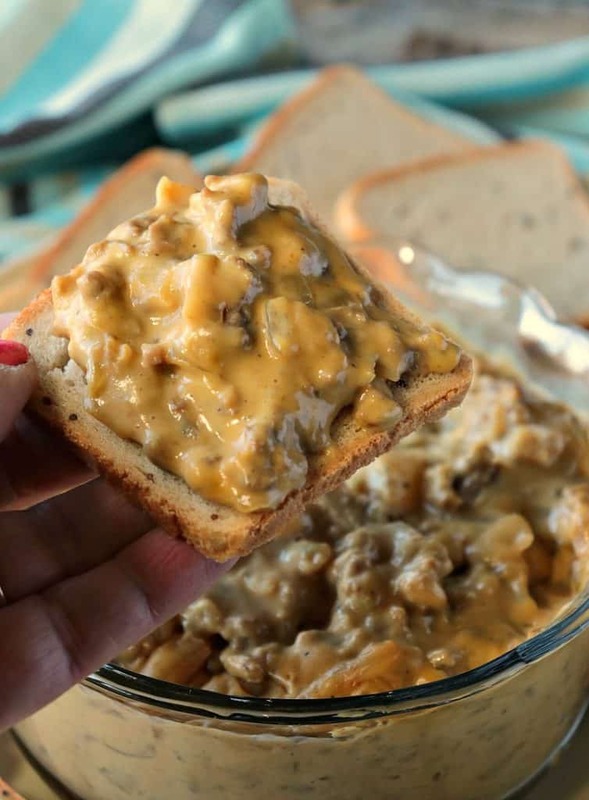 The day I made this Patty Melt Dip and shot the photos and video, I couldn’t stop snacking on it. I guess that’s the sign of a really good recipe. At least I like to think so. In my defense (not that I need one, haha), it also doubled as my lunch that day, which brings me to my point of serving Patty Melt Dip as you would a sloppy Joe, by adding on a burger bun. Or, spoon Patty Melt Dip over a baked potato! How about that idea? Before you know it, you have two easy and delicious main course dinner ideas that you didn’t even see coming! In a large skillet over medium heat, caramelize the onions in the olive oil, stirring frequently (approximately 10 minutes). Add the beef broth to the onions and stir until almost evaporated. Add the ground beef to the onions in the skillet and stir until browned. Add the salt, pepper, garlic, and cheese. Stir well until melted. Add the dill pickle relish and yellow mustard. Stir to combine. Serve hot with cocktail rye bread or assorted chips or dippers of choice. 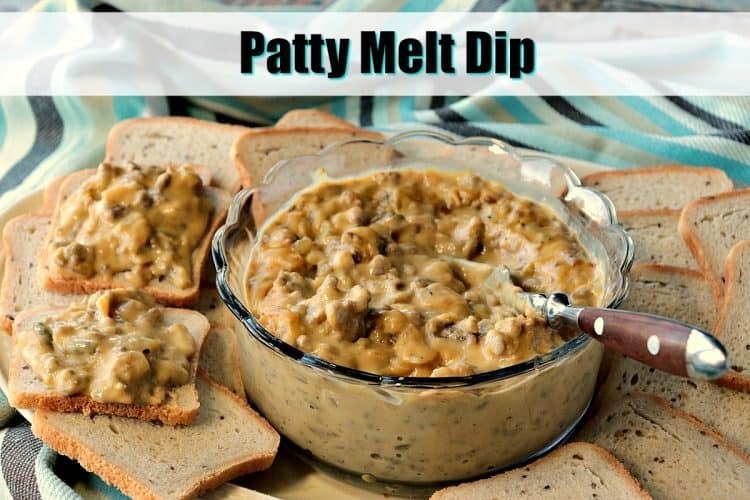 I hope you’ve enjoyed this recipe for Patty Melt Dip as much as I’ve enjoyed sharing it with you. Should you have any questions regarding this recipe, or anything else you see on my site, please don’t hesitate to contact me directly or leave me a comment in the comment section below. It’s is always my distinct pleasure to get back to you with a reply just as soon as I possibly can! Yummy! My mouth is watering just from seeing this dip recipe, Renée. Can I also add a bit of red onions when preparing it? Hi, Agness! I LOVE red onions and would definitely use them in this recipe too! Go for it!! This dip is some serious comfort food! It’s perfect for game day and holidays! Thanks, Jillian! Everyone loves it! It’s so easy to make, too! I’m always looking for a new fun dip to try during football games and we decided to try this one over the weekend. We loved it! Going on our regular rotation! I LOVE LOVE dips! I have a party to go to tomorrow and I am TAKING THIS! I’m sure everyone will love it. Have fun accepting all the compliments! 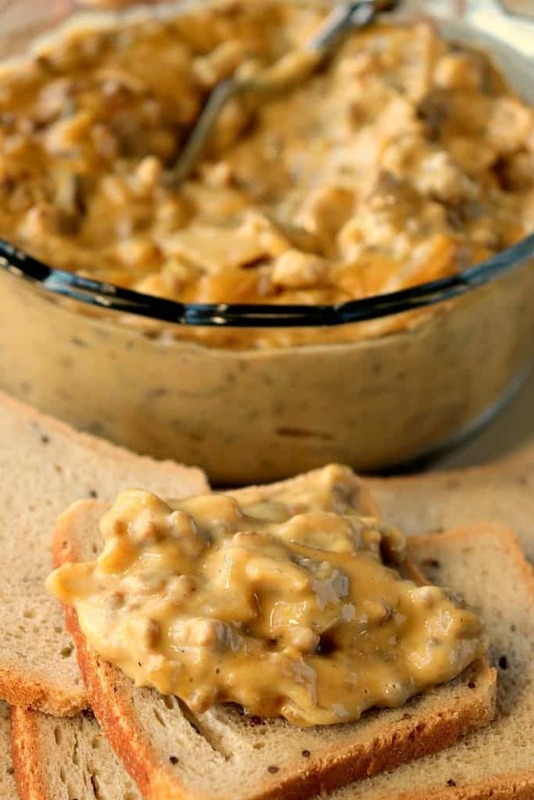 This looks like the perfect game day dip! I am definitely saving this for Super Bowl Sunday! Good call! I’m making it too! Thank you! It IS!! My husband is the patty melt king, and he loves it! !